Walking is a great way to burn calories and promote overall good health. The fitness business is a multi-billion dollar industry. 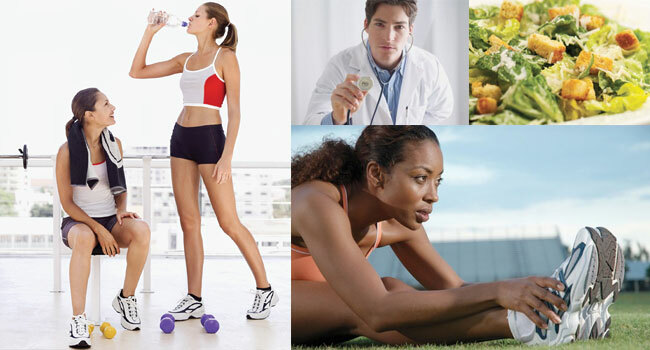 People invest great deals of money in an effort to stay as fit and healthy as possible. But while exercise equipment and gym memberships are worthy investment, those focused on fitness should not underestimate the value of walking as a means to burning calories and promoting overall health. Walking is great exercise, and people of just about any age and fitness level can get out and walk. According to Dr. Andrew Weil, a renowned author and expert in integrative medicine, walking is such a good exercise because it makes use of all muscles, promotes coordination and balance and carries the least risk of injury for people of any age. * Walking promotes maintaining a healthy weight through physical activity. * Walking can prevent or make it easier to manage various health conditions that are dependent on weight and cardiovascular health, including blood pressure, heart disease and type 2 diabetes. * Walking is a weight-bearing exercise that can help strengthen bones and promote good posture. * Exercise, like walking, has been known to benefit mood, specifically for those people battling depression. Although walking is simple, it is an ideal exercise for a number of reasons. First and foremost, it is affordable for anyone and can be done anywhere. What makes walking attractive to many people from a fitness standpoint is it doesn't require learning any fancy moves, nor does one need to feel foolish when walking in public areas. People who walk for fitness have a greater chance of sticking with the activity than other exercises that may lose their appeal after a few months. What people may not realize is that walking provides many of the same benefits as jogging, only with less impact on the joints and feet. Walking also is less taxing on the heart, particularly for people who are adopting a more active lifestyle after a period of being sedentary. According to The Walking Site, the average person can burn approximately 100 calories per mile walked. During a brisk walk, with an average pace of 4 mph, a person can burn between 149 and 220 calories during a 40-minute walk. Some easy ways to add some intensity to your walk is to increase your pace, walk uphill or bear more weight by wearing a weight vest. Incorporating more pronounced arm movements also can help a person to work even more muscles and burn more calories. In order to make the most of your walk, consider the following tips. * Invest in a comfortable pair of walking shoes. Exercise can be thwarted by pain in the feet. Comfortable shoes will make it easier for you to stick to your walking regimen. * Stand up straight and look ahead while walking. Do not stoop or look at the ground. * Bend the elbows and swing the arms a little while walking. * Bring a friend along who can engage in conversation and make the time spent walking go more quickly. Otherwise walk a dog or play upbeat music that encourages you to pick up the pace. * Find a convenient time to walk each day, and look for a new path each day to vary the workout. Walking in beautiful surroundings can make the walk that much more enjoyable. * Start out slowly and then increase the pace and the intensity as you build up more stamina. You also may want to increase the distance you walk as you gain more stamina. Walking is an exercise that doesn't require special equipment or a fancy location. People of all ages can benefit in a variety of ways from walking.